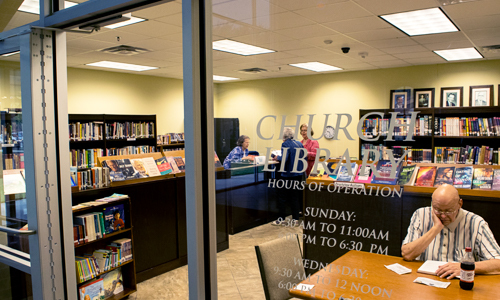 The church library is here for the staff and the church family. There are various media to improve your understanding of scriptures and draw you closer in your walk with our Lord. We have books for all ages, young and not so young, as well as DVDs, videos, and books on tape. Wednesday Evening 6pm – 6:30pm. We welcome volunteers who love to work with books these hours! Contact the church office for more information.